It is dealt on a blackjack sized table. There are 6 segments on the table numbered 1 – 6. There are 3 dice in a cage which has a handle on it to spin it. Players bet on which face will appear. So if a player bets on the segment numbered 2 and one dice rolls a 2 the dealer pays even money. If 2 dice show a 2 the dealer pays 2 – 1. If 3 dice show a 2 the dealer pays 10 – 1. Field bets pay even money if total is 5 – 8 or 13 – 16. Other bets are under 10 and over 11 which pay even money and if all 3 dice show the same number a bet on the treble pays 30 – 1. Chuck-a-luck is dealt on a table the same size as a blackjack table. The table features 6 segments which are numbered from 1 through to 6. There are 3 dice in an hourglass shaped metal cage which has a handle on it so it can be spun. Players are to bet on which face of the dice appears. For example, if a player bets on the segment numbered 2 and one dice rolls a 2 the dealer will pay even money. If two dice show a 2 the dealer pays 2 – 1. If 3 dice show a 2 the dealer will pay 10 – 1. This is the same for betting on any numbered segment whether a 1, 2, 3, 4, 5 or 6 is rolled on the dice. Field bets pay even money if a total is 5, 6, 7 or 8 and again if the total is 13, 14, 15 or 16. Other alternative bets are paid on even money if the player bets on the total of all 32 dice being under 10 or overt 11 and if a treble is rolled, i.e. all 3 dice showing the same number, a bet on the treble will pay 30 – 1. The game will begin with the players placing their bets on the layout. The chuck-a-luck dealer will then announce ‘No More Bets’ and rotate the metal cage which will cause the dice to tumble. When rotation stops the dice will settle on the base of the cage and the dealer will proceed to pay the winning bets and remove the losing bets. Chuck-a-luck is a fun and simple game to learn. It is a derivative of the casino game sic bo. Sic bo has its origins in ancient China. Sic bo literally means ‘dice pair’. 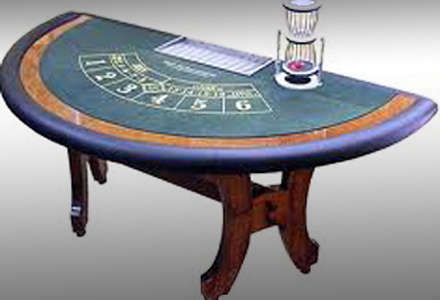 It was played initially in Asian casinos before the popularity of the game took it elsewhere in casinos of the world. Sic bo was likely the origin of all casino-based games involving dice. 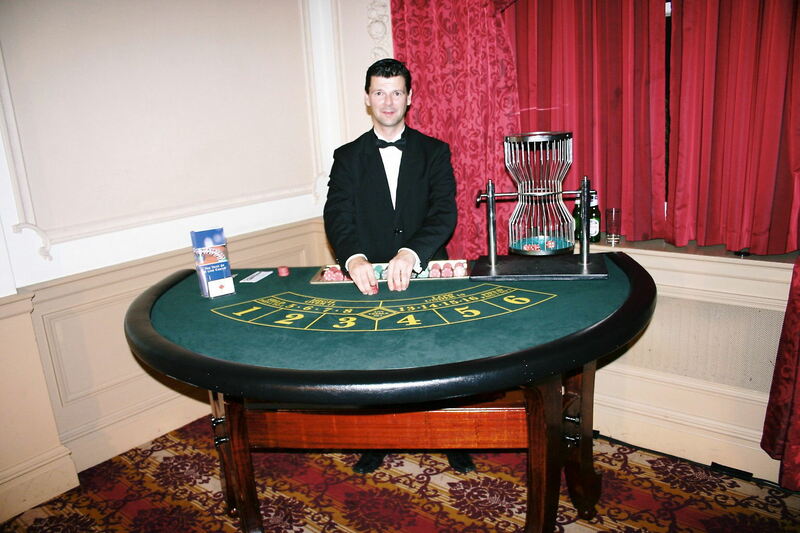 You could liken chuck-a-luck to a simplified version of craps being that they are both dice-based games, but whereas chuck-a-luck is purely a game of chance, craps has a variety of bets of which the player can use a strategy to try to play the odds to their advantage. Chuck-A-Luck, because of its simplicity, became initially a carnival game as opposed to a casino-based game.